Back in January I visited a friend on his farm near Parawa on the southern edge of the Fleurieu Peninsula. After departing in the late afternoon I took the local gravel roads down to Tunkalilla Beach for a quick sticky-beak before heading back to Adelaide. It’s a rather quiet spot well away from the path of the typical day-tripper. It is a known location though for hang glider and paraglider enthusiasts. Rolling hills rise to an elevation of several hundred metres immediately behind the beach, turning sea breezes into ideal updrafts for soaring. On my arrival there were four paragliders in the air so I proceeded to capture the action with a macro lens (as you do!). Why a macro lens you ask? Shortly before arriving at Tunkalilla, I’d put my early 1980’s Pentax M 100mm macro lens on the camera, having stopped to photograph some of the roadside flora. It was also the only longish lens I had with me, so that’s what got pressed into use. Despite manual focus and manual exposure control (and terrible flat and dull lighting from lots of mid-level cloud), I managed to grab some half decent images, which I share with you in this post. 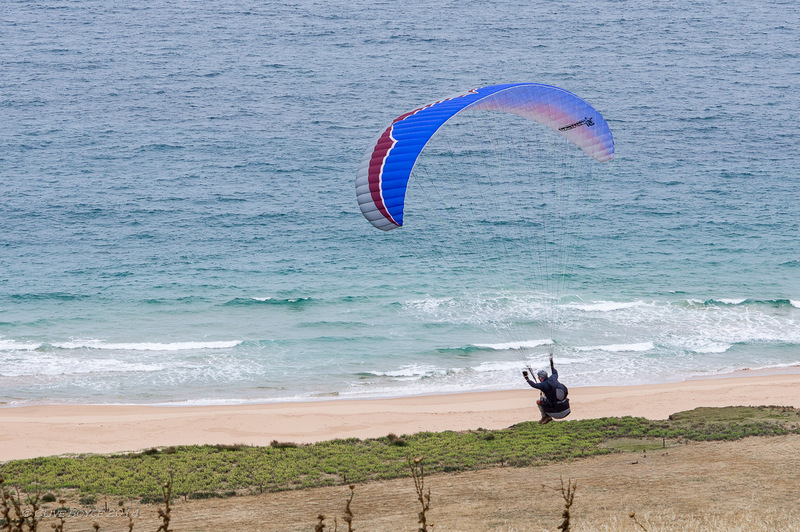 This entry was posted in Australia, Aviation, Regional South Australia and tagged Fleurieu Peninsula, Paragliding, Pentax M 100mm F4 Macro lens, Photography, Tungkilla on May 26, 2015 by aussiesouthlander.